At the cost of over seven thousand casualties, many of which came from its own barrage, the Fist American Army won a signal success in its first great offensive. Here a German prisoner helps wounded Americans to first aid. "gOD HAVE MERCY ON US"
1st Lts. 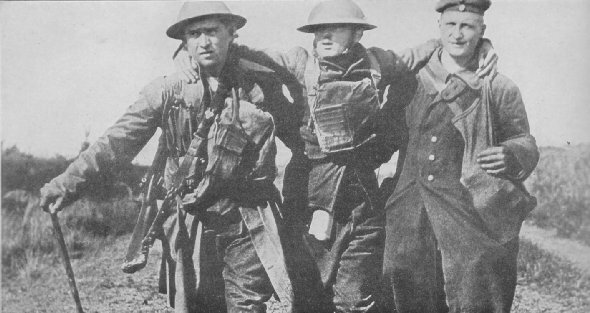 Lautall Lugar and William A. Howell attending wounded at rear of first line during a gas attack, at Jaulny, captured by 2nd Div., Sept. 12. 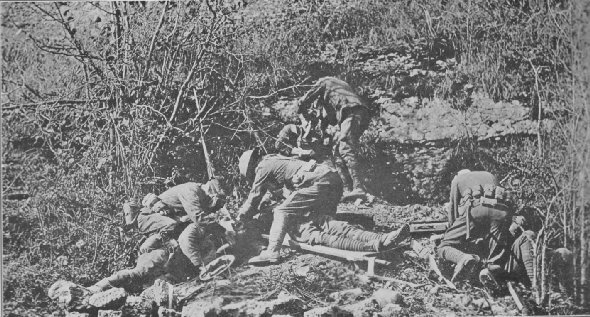 Hospital units were unprepared for the vast number of wounded in this battle.